The Scoop: Buzz Pop Cocktails has revolutionized the age-old push-up ice pop by adding alcohol, fresh fruit, and imaginative flavor combinations. Its gourmet Italian sorbets offer a boozy treat that’s fat-free, gluten-free, and all-natural with unique flavors featuring favorite liquors and wines, including a dark chocolate, bourbon, and raspberry sorbet. The creamy frozen cocktails have delighted guests at wedding receptions, private events, and hotel bars, and now Buzz Pop Cocktails is driving demand at food festivals in the U.S. thanks to its franchise of adult ice cream trucks. The imaginative team behind Buzz Pop Cocktails, an adult-friendly push-pop dessert, isn’t afraid to set high standards and be the first of its kind. These chefs were the first to create a delicious alcoholic sorbet made with all-natural ingredients, the company was the first to produce modern push-pop desserts for adults, and now the brand has launched the world’s first franchise of adult ice cream trucks. Buzz Pop Cocktails are modern desserts for adults looking for special treats. Since his son Chef Jason Isaacs created the first alcohol-infused sorbet in 2016, Joseph has passionately marketed and sold the upscale frozen treat. Under the tag line, “Lick your way to paradise,” Buzz Pop Cocktails has created a buzz around its unique product and tempted customers to indulge their senses. Buzz Pop Cocktails has developed over 75 unique flavors based on beloved cocktails and wines. This trendsetting boozy push-pop has turned heads at weddings, exclusive events, and vacation venues, and it is also available for sale online. This Valentine’s Day, couples can glam up their date nights by swapping out a box of chocolates for a box of gourmet push-pops. Buzz Pop Cocktails offers a retro treat with a modern twist. Digging into the colorful dessert can make you feel like a kid again, but the luscious sorbet is up to 15% alcohol so it’s definitely an adults-only treat. Together, the Buzz Pop Cocktails team has broken new ground, dared to be a little different, and created a memorable dessert like no other. Now the brand expects to grow its reach by sending ice cream trucks to festivals, private parties, and other events where thousands of trendsetting foodies are looking for the next big thing. Buzz Pop Cocktails uses a patented process to create a creamy, tasty, and healthy treat. Its all-natural Italian sorbet is made with fresh fruits and premium liquors. The sorbet does not contain any artificial flavors or coloring, and it is gluten-free, vegan, and certified as kosher by the Orthodox Union. The team has gone to great lengths to ensure Buzz Pop Cocktails contain the highest quality ingredients and satisfy customers of all backgrounds. Buzz Pop Cocktails has whipped up a chocolate lovers treat just in time for Valentine’s Day. The company’s seasonal product line showcases an impressive spectrum of sweet, tangy, tart, and rich flavors to tantalize the taste buds. Plus, the Buzz Pop Cocktails team is always coming out with something new to excite and delight customers. Though 2019 has only just gotten started, Buzz Pop Cocktails has already unveiled two new flavors available just in time for Valentine’s Day. The Chocolate Raspberry Sorbeto came out in January 2019, and the Peach Prosecco Sorbeto will be sold in February. The newly released and carefully crafted Chocolate Raspberry Sorbeto is the perfect dish for chocoholics seeking a healthy alternative to a box of chocolates. This creamy sorbet combines Belgian chocolate, bourbon, and raspberries in a decadent yet fat-free dessert. Every Buzz Pop Cocktails push-pop is under 100 calories, so couples don’t have to worry about their waistlines as they enjoy a sweet treat with their sweethearts. Whether you’re enjoying a taste of island life by sampling the Caribbean Breeze or brightening your day with Mango Passion Fruit, you can’t go wrong selecting any of Buzz Pop Cocktail’s signature flavors. Buzz Pop Cocktails is constantly challenging the status quo and embarking on creative projects to elevate frozen treats beyond the typical ice cream parlor. The sorbet’s innovative design, delectable taste, and alcoholic content have caught people’s attention, and now the company’s main mission is to spread the joy from coast to coast. This year, the Buzz Pop Cocktails brand has created a sensation by launching the world’s first adult push-pop mobile franchise. The Buzz Pop Cocktails Mobile Franchise has given entrepreneurs a chance to run the coolest ice cream truck ever. The Buzz Pop Cocktails truck carries refreshing alcoholic sorbet to a wider audience in the U.S. Adult ice cream trucks have already gotten on the road in Texas and South Carolina — two states where they don’t need a liquor license to sell the boozy frozen treats. Florida is next on their list. Instead of depending on customers to find them, Buzz Pop Cocktails is now going out and creating demand on the ground. In the last year, the company has taken its eye-catching ice cream truck to large community events to increase visibility. Customers can discover them at food events and festivals throughout Florida, including the Orlando Taco Festival and the Gasparilla Parade of Pirates in Tampa. You can follow Buzz Pop Cocktails on Instagram to find out where they’ve been and where they’re going next. One major goal for 2019 is to see the push-pops on sale in Whole Foods grocery stores in all 50 states. That’s right; while franchising the brand, increasing in-house production, and developing new flavors, the Buzz Pop Cocktails team is developing partnerships to get its product stocked on grocery shelves and served at hotel bars. 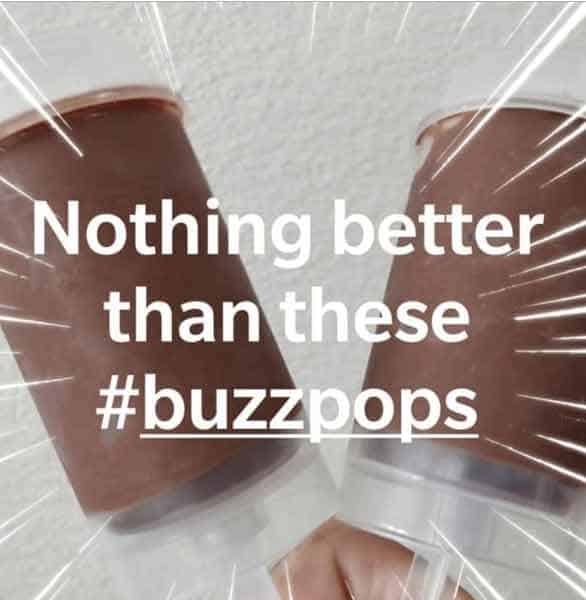 Buzz Pop Cocktails also empowers brand ambassadors to spread the word and get people excited to try the high-end, adult-friendly push-pop. Buzz Pop Cocktails has made a name for itself by producing chef-inspired push-pops packed with fresh flavors and a splash of alcohol. This cool treat has livened up hundreds of wedding receptions, date nights, vacations, promotional parties, and other private events. Whether the team is catering a “Real Housewives” party or sending a variety pack to a couple before Valentine’s Day, Buzz Pop Cocktails provides the perfect way to glam up a special occasion. In the last few years, the Buzz Pop Cocktails team’s outside-the-box thinking has turned a unique dessert into a groundbreaking franchise that has intrigued people around the world. Looking to the future, Joseph predicts that 2019 will be Buzz Pop Cocktails’ busiest and most successful year yet.